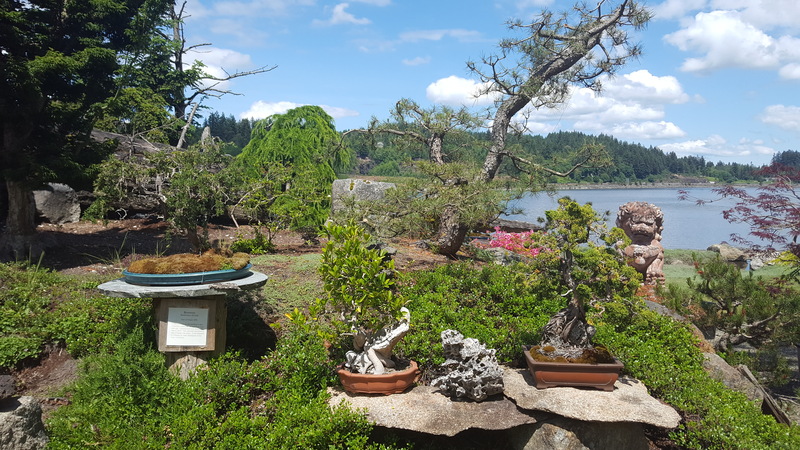 Located on the west-bound, Sinclair Inlet water side of Highway 16, as it begins the merge into Gorst, this park-like installation includes large native-specimen plants with boulders and fascinating yard sculptures. Elandan Gardens exhibits an amazing bonsai collection; the Bonsai museum is located among ponds and waterfalls. The garden itself boasts plants up to a thousand years old! While there, see the artistry of local sculptor, Will Robinson and visit the gallery and gift shop, featuring unique artistic items for anyone wanting to beautify a yard or home interior, or seeking a special gift. Explore the showcase garden behind the Shop, with winding gravel path, dozens of the intricately trained Bonsai Trees — the collection includes individuals that are over 1000 years old; set amongst giant boulders, pilings, driftwood, and lava rock.